Unsplash photos on Mac & Windows. 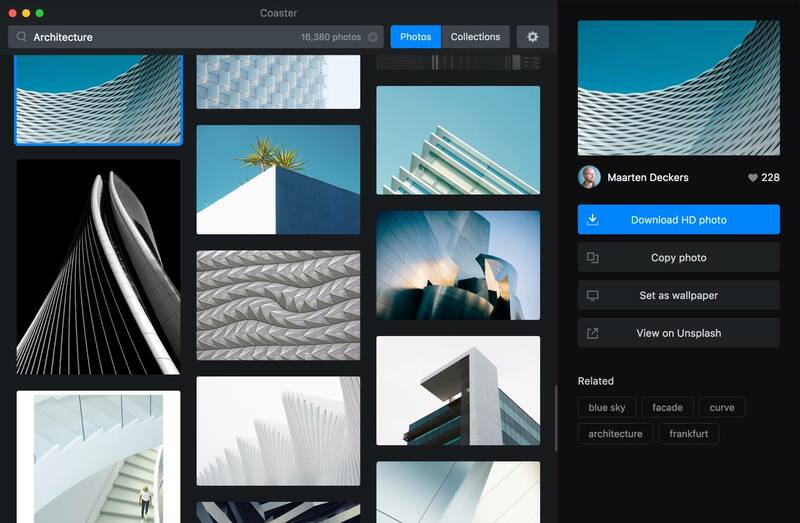 Coaster makes it easier for you to search for photos from the massive library of free stock photos on Unsplash. Download, copy to clipboard and do more with a simpler interface on your desktop. Download the high definition version of your favorite photo with a single click, right from your desktop. Choose from variety of high quality beautiful photography on Unsplash. Update with a click of a button. With human-curated collections, you will be able to browse even more relevent photos from a single search. Add photos to your favorites, group them, and organize them for later. You don’t want to lose them next time. Get Coaster onto your desktop now!